April 11 declared "Day of the Rose" in Santa Barbara! 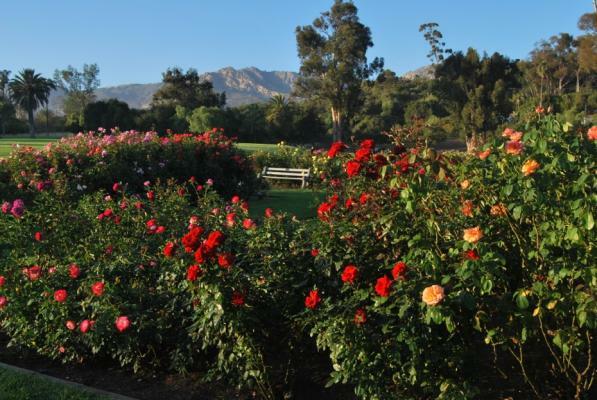 The next meeting of the Santa Barbara Rose Society is on Thursday, April 11, 2019 from 7 – 9 pm at Trinity Lutheran Church Fellowship Hall, 909 N La Cumbre Road at Foothill in Santa Barbara. The City of Santa Barbara has issued a proclamation declaring April 11th the “Day of the Rose” in Santa Barbara, in honor of the 60th Anniversary of the founding of the Society in 1959. Mayor Cathy Murillo will attend. The Santa Barbara Rose Society has worked with the City for many years in tending the A.C. Postel Rose Garden across from Santa Barbara Mission. Meetings are FREE. This birthday celebration will include a “Celebration of Spring Roses,” a rose show of members’ roses, featuring nationally-known Master Rosarian Dan Bifano and Consulting Rosarian Holly Hagy. There will be a special 60th Anniversary Birthday cake, faux rose “champagne” and raffle for an Heirloom rose bush and rose treats gift basket! Guests are welcome! If you grow roses, please bring your cut roses to show off and any rose plants you would like to share. We also welcome goodies for our refreshments table and items for our fun raffle. **For more information, please call Linda at (805) 451-7695.